Growing Up Boulder is a partnership between the City of Boulder, Boulder Valley School District, and University of Colorado's Community Engagement Design and Research (CEDaR) Center. 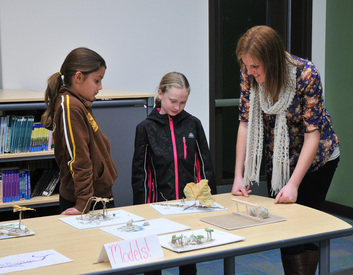 In addition GUB partners with many youth-serving organizations in Boulder. Click here to learn more about our partners, funders and founders. Mara Mintzer is a co-founder of Growing Up Boulder, and she presents and writes internationally on the topic of engaging young people in city planning. She loves working within Growing Up Boulder's collaborative structure, whereby children and youth may meaningfully shape their own city. She is inspired daily by seeing the growth in all partners involved: children, youth, city leaders, university students and faculty, and community members. Prior to GUB, Mara was Director of Belle Haven Community School in California, where she oversaw child and family support services families on a low-income school campus. She has designed and implemented a wide variety of programs for underrepresented children, families and neighborhoods in New York and California. Mara received her B.A. in Psychology from Brown University and her M.A. in Organizational Psychology from Teachers College, Columbia University. She speaks Spanish and French and loves to travel and live abroad. As Growing Up Boulder's Education Coordinator, Cathy works closely with partners to design and facilitate community engagements that are personally relevant and meaningful. With teachers she uses curriculum integration and community connections as especially powerful tools. She enjoys collaborating with and mentoring children, youth, and GUB interns, where she is constantly inspired by their ideas and ambitions. In 2015, Cathy retired from teaching after 32 years of service, 22 of which were at Whittier International School in Boulder. Cathy is a board member of PassageWorks Institute, a local non-profit that provides teachers a practical approach to teaching and learning that improves social, emotional, and academic outcomes, develops inclusive and respectful learning communities, and fosters a strong sense of meaning, purpose, and motivation in schools. Cathy received her B.S. in Human Development & Family Studies at Colorado State University and her M.Ed in Elementary Education at Lesley College. Her passions include travel, backpacking, snowboarding, and spending summers on Lake Michigan. Omar De La Mora is a senior in the ENVD Program with an emphasis in Architecture. He is interested in bioclimatic building design, and the relationship between the built environment and our constantly changing environmental climate. Omar is also a part-time Big Mountain Ski Coach for Team Summit Colorado where he has a developed a passion engaging with youth. He is currently working with Growing Up Boulder to develop a Child-Friendly City Map that encourages kids to explore their city through child-friendly designs by working with several preschool and elementary students to come up with plans, designs, and ideas for walkable neighborhoods throughout Boulder. By interning with Growing Up Boulder, he hopes to learn how to further involve the ideas of local youth into building design. Leandre Mills is a senior ENVS student with a minor in ENVD and a focus in planning at the University of Colorado, Boulder. Her interests include environmental education, being active and involved in local government and planning, eco-social justice issues, environmental psychology, and nature-play. In her free time, Leandre enjoys camping, hiking, and climbing. She is currently working with Growing Up Boulder to develop a Child-Friendly City Map that encourages kids to explore their city through child-friendly designs by working with several preschool and elementary students to come up with plans, designs, and ideas for walkable neighborhoods throughout Boulder. She is also working on a research project which explores and analyzes the overall impacts on environmental public policy by introducing affordable and equitable environmental education programs into vulnerable, lower socioeconomic communities within rural Colorado. Grace Carlin is a graduate student specializing in Sustainability Planning and Management in the Masters of the Environment (MENV) program at the University of Colorado Boulder. Grace came to the MENV program from a position as an aviculture exhibit interpreter at the San Antonio Zoo, where she facilitated interactions between guests and parrots. This inspired her passion for studying the social aspects of nature, especially through the lens of immersive environmental education opportunities for underprivileged groups. As such, she is thrilled to partner with Growing Up Boulder to engage local youth in participatory planning processes regarding urban design and environmental decision-making. Grace received her B.A. in Environmental Studies and a minor in Urban Studies from Trinity University in San Antonio, Texas. In her free time, Grace enjoys hiking, singing, and consuming science fiction media. ​Jing Liu is a graduate student in the Master of the Environment program with the specialization in sustainability planning and management at the University of Colorado, Boulder. Her interests mainly focus on urban design and planning, community engagement, and youth education. Jing enjoys spending her free time skiing, camping, and stay with her family and friends. 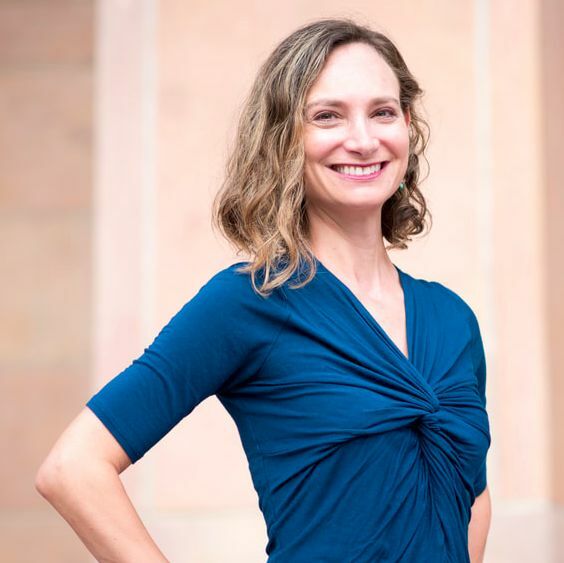 She is currently working with Growing Up Boulder to develop bilingual Child-Friendly City Map, compile a Child-Friendly City Toolkit and create a Teen-Friendly City Map. She believes that children and teenagers should have their voices and opinions be considered in the urban planning process since their perspectives are often unique and unbiased. Being a part of GUB members, Jing feels responsible to encourage and empower the young people to be active participants in the communities and raise their social awareness and responsibilities in their early age. Hunter is a graduate student studying Sustainability, Planning, and Management at CU’s Masters of the Environment Program. He comes to GUB with years of professional experience including running a non-profit called Life Pursuits. As director of the organization Hunter is actively engaged in the community to form relationships with local youth agencies in order to support their initiatives. He has worked and volunteered as a lacrosse, soccer, and football coach and believes in the importance of nature and the outdoors playing a vital role in child development. ​Boulder Valley School District, and City of Boulder.